A 63-unit rental building on Eastern Parkway has been sold for $52 million, after being purchased as a vacant lot in 2012 for $8.3 million. 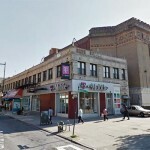 Pacolet Milliken Enterprises, a privately owned investment company controlled by the shareholders of textile and chemical giant Milliken & Company, has purchased 341 Eastern Parkway in the Crown Heights section of Brooklyn for $52 million, according to Eastern Consolidated. The deal closed on Oct. 6. The eight-story building at 341 Eastern Parkway sits at the intersection of Franklin Avenue and Eastern Parkway, directly above a subway stop, and near the popular retail strip along Franklin Avenue. 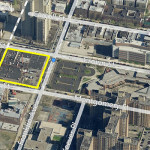 The seller, Bluejay Management, bought the property as a vacant lot in 2012 for $8.3 million, according to property records. 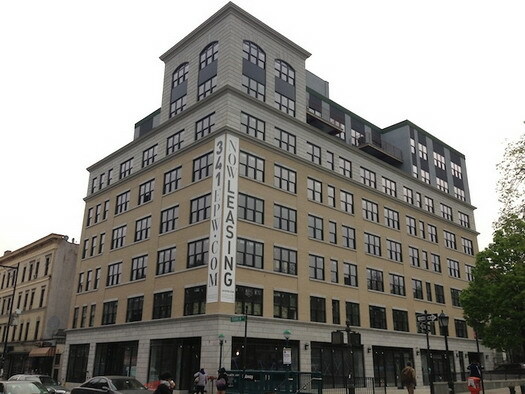 The 84,860-square-foot doorman building with a mix of studios, one-bedrooms and two-bedrooms opened in 2014. Only two units are being marketed — a studio listed at $2,196 a month and a one bedroom for $3,111 a month, according to StreetEasy. Retail tenants include Starbucks, Capital One and Statcare Urgent Medical Care. How much did it cost them to build the place? 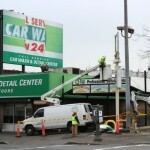 What will the new owners do as far as remodeling, (b) space and (3) rents??????? ?That is the question down the line!!!!!! Sounds too high. Is there some hidden tax agenda going on? Makes absolute sense if you calculate $52M divided by 63 units – that puts each unit at or below retail market for CH.